Recently, the Texas Social Media Research Institute traveled to Galveston to embark on our first Social Media Research Cruise. We had a great time and we formed three undergraduate research papers after the experience. This post is the second of a series of posts focused on the Social Media Research Cruise Experience. According to the Merriam-Webster Dictionary, gluten is within the family of proteins and can be found in grains like wheat, rye, spelt and barley. When flour is combined with water, the gluten proteins begin to form a sticky consistency that is glue-like. This glue-like property makes dough elastic, and gives bread the ability to rise when baked. Interestingly, the name glu-ten is derived from this glue-like property of wet dough. According to the Mayo Clinic (2016), more than 30% of Americans actively try to avoid eating gluten, whether they have been diagnosed with a gluten sensitivity or have Celiac Disease, or just want to live a more “healthier” lifestyle, Americans are looking for a more sustaining diet to counterbalance the symptoms they are susceptible to when eating gluten byproducts. Foods such as pizza, sandwiches, cakes/cookies/pies, pasta, and beer, all have damaging effects to someone with a gluten sensitivity. The symptoms felt are typically diarrhea, nausea, headache, abdominal pain, bloating, gas, anemia and tiredness. Knowing this, how does one plan for a vacation on a cruise liner for example? 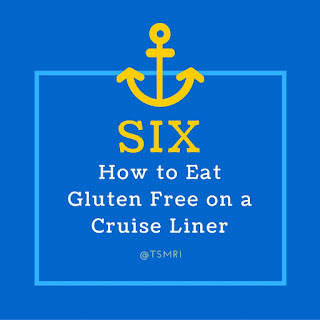 He/She is going to be out to sea for a week with various food choices, but how does one maneuver the complex menus and arrange for special meals based on their dietary restrictions? I have had Crohn’s Disease since 2003, and I am a very picky eater. I follow a daily regimen of what I am consuming, and stockpile occasional cheat days around family celebrations and the holiday season. 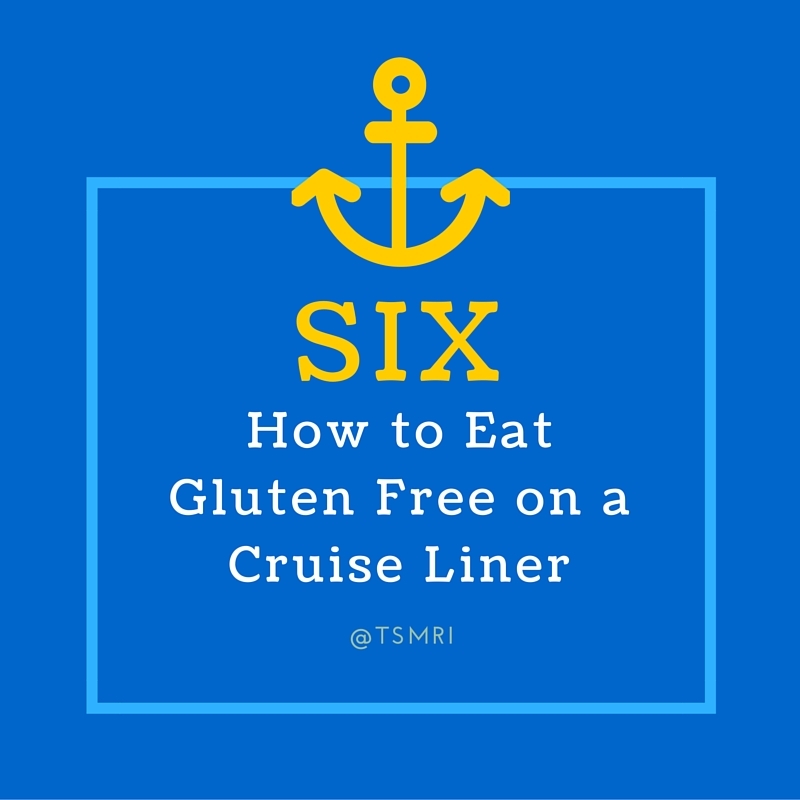 So when I was asked to go as a faculty partner on a cruise liner this Spring Break, I was curious as to how Carnival was going to accommodate my dietary needs. Now for someone who doesn’t know about Crohn’s, Crohn’s is a chronic inflammatory bowel disease that affects the lining of the digestive track that can lead to severe diarrhea, fatigue, weight loss, and malnutrition. I was excited to see upon entering my stateroom, that there was a continental breakfast menu that we could utilize before our morning workout (I was rooming with my colleague Dr. Winslow). The menu contained various fruits (i.e. banana, fresh melon, and a citrus melody), Cheerios that were gluten free, gluten free toast, yogurts, and juices. That was such a comforting feeling that Carnival was consciousness about patron’s dietary restrictions and health regimen. When I asked our dining room waitress, Lealiane from the Philippines, later that first evening about a gluten free menu, she simply stated that there was no sole gluten free menu within the Carnival fleet; however, one could request what they would like served to them a day in advance, so the kitchen had time to adequately certify that the plate was gluten free. Ordering from the dinner menu night after night, it was clear that the menu though it had staple entrees, it was very mindful of the various ethnic, religious, and dietary restrictions one might have to contend with on a cruise liner (very bland seasonings). I focused on protein and eating foods that were either out of my price point back home in the States, or were hard for me to purchase at the grocery store. I ate boiled Maine lobster tail, steamed crab legs, shrimp cocktail, Mahi Mahi, seared striped bass and peach soup, then kept to the staples like a grilled chicken breast, grilled vegetables, baked potato, filet mignon, chili rellenos, and flat iron steaks. I would advise patrons of cruise liners to bring their own seasoning to manipulate the flavoring of the entrees. For me it is cumin. Cumin helps in the digestion process, improves immunity properties, and aids in overall health and wellbeing. With anemia, cumin is very rich in iron, and can be an added additive to a daily diet for anemic individuals and avoid the symptoms of anemia like fatigue, anxiety, cognitive malfunction, and digestive issues. Other seasonings that can be brought on board to help in the seasoning of foods to make them taste a little bit more tailored to your average daily regimen are oregano which helps fight small intestinal overgrowth (pair with chicken, lamb, or egg). Thyme, is an antimicrobial and antioxidant property and is a great source of vitamin K and iron. Ginger can ease many gastrointestinal symptoms including nausea, vomiting, and gas. Turmeric is a powerful anti-inflammatory agent. Add ¼ teaspoon to a pot of rice or sprinkle over veggies, meat, fish, or beans. Finally, cinnamon has antimicrobial and anti-inflammatory properties and is a great source of antioxidants. At breakfast, stir into oatmeal instead of sugar. For dinner, instead of bay leaves, add cinnamon sticks to sauces and stews. Adding one’s own seasonings from home to meals, asking for menus (breakfast, lunch, and dinner) a day in advance to plan your daily options, and stocking up on fruit such as apples and bananas when available, can help someone with a gluten sensitivity or someone like me with a chronic illness maneuver the lifestyle on a Carnival cruise liner.